2016 has been a strange old year. It’s been a year of new jobs – two of them! – and finally getting settled into a permanent role. It’s been a year of travel, and discovering new places both near and far. Its been a year of surprise and disappointment, as we have seen racism, bigotry and hatred triumph on more than one occasion. 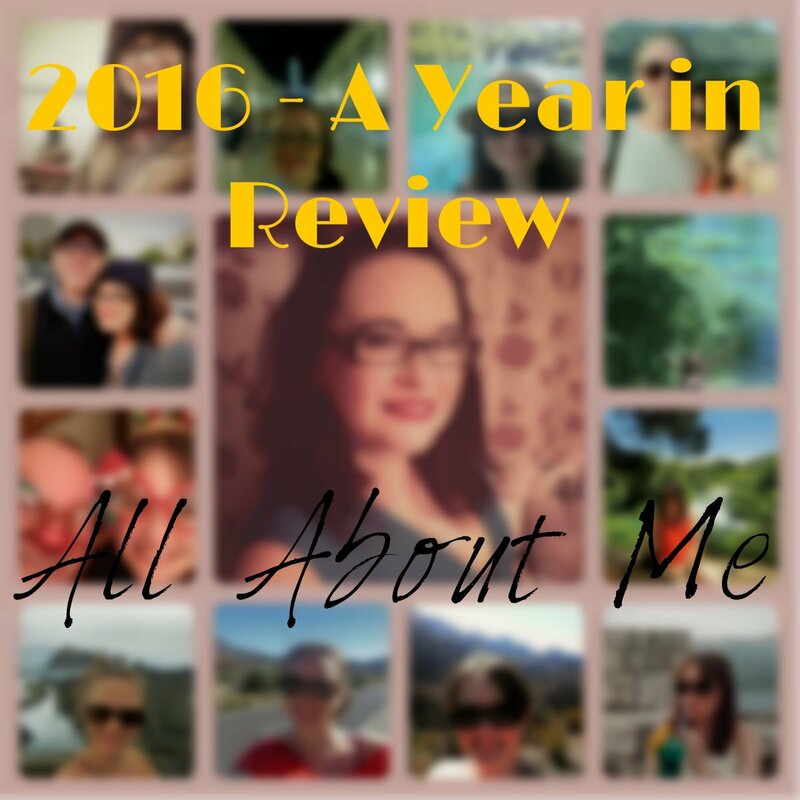 So here’s a whistle-stop tour of my 2016. January: I started the year unemployed, getting my CV out to as many agencies and companies as I could. Surely SOMEONE needs an excellent training administrator? The year started with a shock, the death of the amazing David Bowie. Little was I to know this was a sad trend that would continue throughout 2016 as familiar and much-loved figures left our lives. I also started to learn Danish in preparation for our upcoming Copenhagen trip, and learned how to say “the man is not wearing clothes” (Manden har ikke toj pa). On the blog: I was still updating old travel blogs, so you can find Boston, Budapest and Salzburg in January. I also pondered whether I was A Traveller or a Tourist (and concluded I was a bit of both), took a lighthearted look at my Recurring Travel Habits and gave some (hopefully) useful Travel Planning Tips. February: In February I got off my sickbed and attended two job interviews in a week, despite having no voice and having to do a presentation through the medium of mime. Never found out if I was successful though as I decided to take a six month contract offered to me at Kier Environmental. Yes, back to the world of work after an extended Christmas break! April: I decided I was tired of working after one whole month so took a few days off to celebrate Mr Fletche’s birthday in Copenhagen…blogs galore below! I also managed to disgust my new workmates by bringing back the most vile sweeties ever. Sorry Kier! We took Ma and Pa Lee out to Digbeth, talked about naked chickens and tried not to celebrate Villa’s relegation too much. Pa Lee failed to look the slightest bit sad. More celebrities were lost – Victoria Wood, Prince – as was my favourite pink lipstick when I accidentally put it through the washing machine. Work sent me to the seaside and I spent three days in Eastbourne, where I was the youngest person by a good 40 years in my hotel. And Mr Fletche bought a NutriBullet. The novelty soon wore off and its now collecting dust in the cupboard along with our soup maker. On the blog: April was all about Copenhagen! It was also time to carry on updating the 2015 Italian Trip blogs, with Florence and Pisa. And the mobile travel website GPSmyCity.com turned my Venice Guide into an app! May: In May, I caught up with old friends and went to my first spa day at the Cube, and also saw a hilarious amateur production of South Pacific at Solihull’s Core Theatre. I spent more time at the seaside, thanks to the Environmental Waste site in Weston Super Mare, and also took two jaunts down to London, one of which involved an unscheduled drive at rush hour through central London itself and a panicked call to Mr Fletche to pay the congestion charge online “just in case”. And Mr Fletche’s fame continued to rise as a finalist in the Cube’s Photographer of the Year competition! June: Will we, won’t we? Yes, a new word entered our vocabulary in June, and this word was “BREXIT”. I was firmly in the Remain camp, however it wasn’t to be. Six months later, not much has changed apart from us being the laughing-stock of the world as our “esteemed leaders” postulate about how Great we can be all on our own. If its going to happen, let’s get on with it. I hope those people who voted to exit get the rosy future that they hoped for. In brighter news, June was mostly spent forging bonds with our European neighbours by spending two weeks in Croatia. Oh, and Mr Fletche was featured as a fab person to watch out for in I Choose Birmingham’s weekly newsletter! July: It was another opportunity to catch up with friends, and along with this came the realisation that some people just bring negativity into your life and its fine to just say “OK” and let them go. Ma and Pa Lee went off on their own travels to Majorca, which they have now declared as their new favourite place in the world, whilst Mr Fletche and I stayed a bit closer to home with a weekend in Bristol. On the blog: One word, Croatia. All the Croatian blogs can be found in one handy place here. And this was my 100th blog on A Brummie Home and Abroad! There was also an Out and About in Brum Jewellery Quarter Special to celebrate all the great new stuff going on, and my York city guide was turned also turned into an app…I wrote about what this means here. August: With my time in Environmental Waste coming to an end, I was lucky to be offered a new permanent L&D role with Interserve Construction. It’s nice to have something a little bit more stable after working in short-term contracts for three years. I also went to my first ever Brum Bloggers meet – I wrote a little about the Brum Bloggers group on my recent A Year in Review 2016: A Brummie at Home blog. I can be a bit of a quivering mess when it comes to meeting new people in social situations so it was a positive step for me to face the fear – and even come out with some new friends. On the blog: The big blog news in August was finally buying my domain name and becoming ABrummieHomeandAbroad.com! Made me feel like a real blogger! Although I did have a bit of a wobble later on in the month when I wondered whether I was a real blogger or not… I blogged about our Bristol weekend, my first Brum Bloggers meet at The Gin Vault, and contemplated some of the places I want to visit next. On the blog: I wrote about all the great places you can get to in Tenerife with a rental car, and also made an impassioned plea to those people who stand outside restaurants and try to wrestle you entice you in. This turned out to be my most popular blog of the year! I also reminisced about US Road Trips, remembering my top 5 moments from our two trips so far. October: Time to whip this body into shape. By….hula hooping? I laugh more than I hoop, have noodle arms that tire easily, and bruises in the oddest places but it’s a whole lot of fun. At the time of writing I am still hooping, and for once have not given up! Mr Fletche claimed his Hyatt Regency prize and we had afternoon tea and an overnight stay on the same day that we saw Jean Michel Jarre. On the other end of the music spectrum, I purchased Bros tickets. I also went to my second Brum Bloggers meet, which was a little easier than my first (helped by the great cocktails). And Mr Fletche was shortlisted for Landscape Photographer of the Year with this beautiful shot. November: We celebrated our 8th wedding anniversary in the beautiful city of Porto, and I bought Mr Fletche a humongous beer filled advent calendar that i mistakenly thought I could hide until the 1st of December. I missed out on participating in the Big Sleep Out for St Basils due to my holiday, but my work colleagues did a stirling job in recreating our future new premises in miniature form, braving the cold and raising almost £3k. Oh, and the USA went mad and voted Donald Trump as new President. The UK are no longer the laughing-stock of the world (for now). On the blog: A quiet blogging month, but I spilled the beans on Agatha Christie’s ‘The Mousetrap’ with my first theatre review. On the blog: Another quiet month, but it was mainly about Porto! What a year! And I’m scared to mention the sad losses we’ve had in December in case the cruelty of 2016 hasn’t finished yet… There’s been plenty of good stuff amongst the bad though and as always I’m grateful to have fab loved ones around me, plenty of opportunity to eat, drink and be merry, and the chance to see some amazing new places each year. "Out and About in Brum: December 2016"